The mission of the United States District Court for the Eastern District of North Carolina is to support, defend and preserve the Constitution of the United States by providing an impartial forum for the just resolution of disputes. The clerk's office, as the doorway to the court, continuously strives to provide quality, courteous, and prompt service with a commitment to professionalism, teamwork and efficiency based on our belief that all people have a right to be treated with fairness and dignity. Our motto is "Service to the Public; Support to the Court." 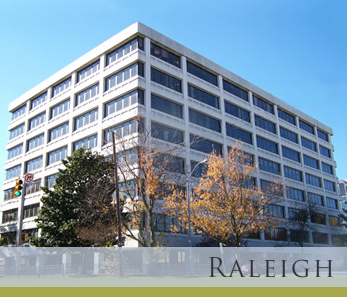 We serve 44 North Carolina counties from Raleigh to the Atlantic coast and are under the United States Federal Court System in which both civil and criminal cases are filed. 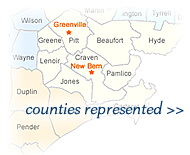 Court is held in six cities in the District: Elizabeth City, Fayetteville, Greenville, New Bern, Raleigh, and Wilmington. Pleadings may be filed in the Office of the Clerk in Raleigh, Greenville, New Bern or Wilmington regardless of the division or judge to which the case is assigned. For office hours and directions to specific locations, please visit our Court Locations section. Judge James C. Fox passed away on Saturday, March 23, 2019. Judge Fox honorably served our nation for over thirty five years as a United States District Judge in the Eastern District of North Carolina. 18-SO-5, In re: Electronic Service of Documents Filed By Unrepresented Litigants. The United States District Court for the Eastern District of North Carolina gives public notice of proposed amendments to the Local Civil Rules, Local Criminal Rules, and Local Patent Rules. The United States District Court for the Eastern District of North Carolina gives public notice of proposed amendments to the Local Admiralty Rules, Local Civil Rules, Local Criminal Rules, and Local Patent Rules. The United States District Court for the Eastern District of North Carolina has approved e-noticing for pro se parties in civil cases. Effective March 20, 2017, a non-incarcerated pro se litigant may consent to electronic service of documents filed in CM/ECF in civil cases in this court. Further information regarding e-noticing may be found in the revised CM/ECF Policy Manual. The United States District Court for the Eastern District of North Carolina announces the selection of Peter A. Moore, Jr., as Clerk of Court. Mr. Moore was sworn in by the Court on March 13, 2017, and replaces Julie Richards Johnston, who retired on March 6, 2017. Learn about our Pro Bono Program. U.S. Probation Office, Eastern District of N.C.